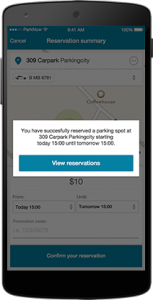 With ParkNow you can pay for parking on the street and in car parks. No more searching for change and running to the parking meter. Simply pay cashless and ticketless with the ParkNow app. Park your car and start the parking session. Park your car and open the ParkNow App. Select your location and press start. 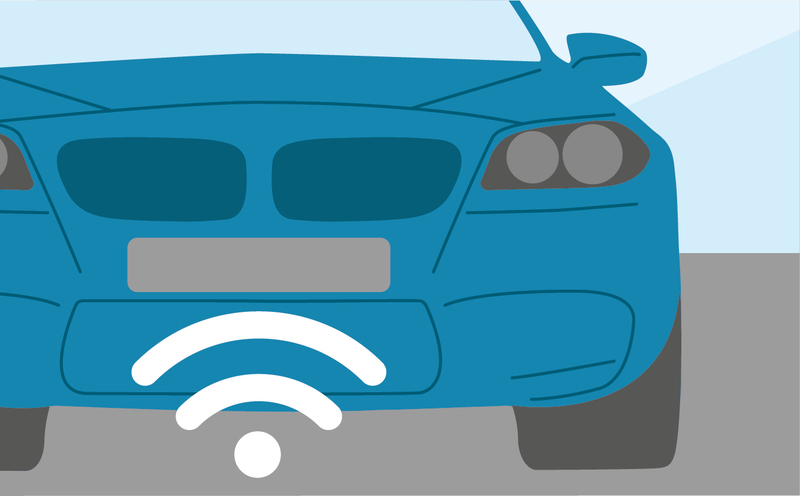 Either define a parking duration in advance or start and end your parking session real-time. Make sure your vehicle and location details are correct. Verification of your parking action is then easy and parking tickets are history. and stop a parking action by SMS or phonecall. Have space to do more. Leave your car and have time to do something else. Parking enforcement will be based on your VRN. In some cities a ParkNow Sticker is mandatory. Do you want to start, end or extend your parking session? Just one click needed, when using the ParkNow app. In your personal account you can find all previous parking sessions neatly displayed alongside your invoices. At the end of each month the total parking fees will be charged automatically to your credit card or bank account. Sign up now, its free! Don’t forget your parking sticker. For the most cities you need to have a parking sticker for on-street parking. In these cities it is necessary to have a parking sticker clearly visible attached to the inside of the windscreen of your car. Download your ParkNow Sticker for free here. Alternatively, you can place a note with “ParkNow Handyparken” behind your windscreen. 1. Find your perfect space. The ParkNow app shows you all available parking spaces in your area. Choose your preferred space based on distance and price. It is up to you. Making a reservation or booking a specific space will be available soon as well. You have chosen a car park? 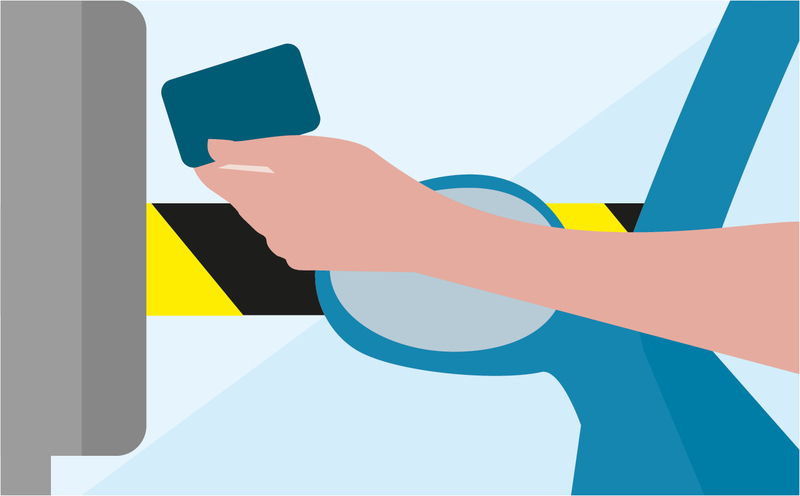 Simply drive into it – the barrier will open automatically for ParkNow users or hold your car park access card against the reader at the barrier to open it. Once you are ready to leave, simply drive out of the car park. No more tickets or passing by the pay machine. As soon as you leave the car park the session is terminated. 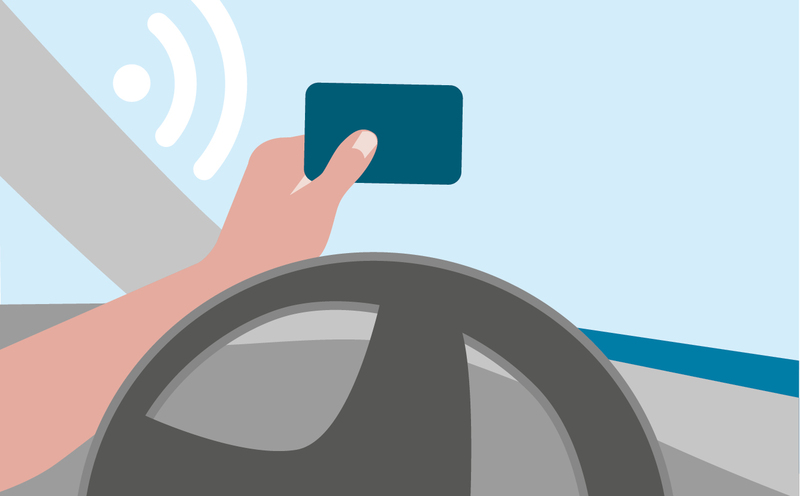 At the end of each month the total parking fees will be charged automatically to your credit card or bank account. Parking can be so easy. How to get the barrier open? You can easily enter the car park in three ways – depending of the exisiting car park technology. Place your Access Card on the Short Range Reader. Just hold up your ParkNow Access Card. The barrier will open automatically.